With another new year comes the promise of new and fantastic blogathons to come. One in particular that I have been looking forward to is Cara of Silver Screen Serenade‘s Resolutions series – where bloggers get together to discuss films they’ve always meant to see. In 2015, I watched Best Picture winner The Artist (2011) and very much enjoyed it. In 2016, I decided to try something a little bit different. Something a little more hyper-masculine. And what could be more hyper-masculine than Sylvester Stallone as the one and only John Rambo. Read on! 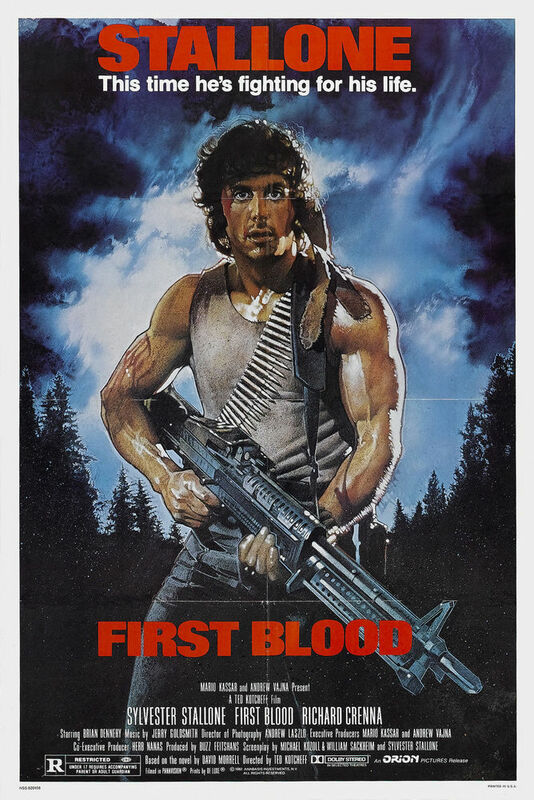 The first thing you need to know about First Blood is that if you’re expecting a film where Sylvester Stallone as John Rambo runs around with a big old machine gun, and guns down all his enemies one by one and sometimes many at a time, then you’re looking at the wrong film. It’s well known that the later Rambo films are characterised by that kind of crazy and exorbitant violence. However, what people who haven’t seen First Blood may not know, is that this film is somewhat different. We do get to see Rambo showing off his survival skills eventually, but for the most part, First Blood is a fairly intelligent action thriller with strong cultural roots in its depiction of returned servicemen from the Vietnam War. The first thing we see of Stallone’s Rambo is him walking to a friend’s place with whom he served in the Vietnam War. This John Rambo isn’t dressed like a warlord; he’s scruffy and meek, and is later described as a “drifter” by authorities. This presentation soon devolves into Rambo’s killer instincts coming out, in direct response to PTSD flashbacks he experiences as a result of his time as a prisoner of war in Vietnam. The PTSD experience of someone who has been held and tortured as a prisoner of war is portrayed in a very authentic manner, with sudden interjections of flashbacks that throw both Rambo and the audience off. The difference between this and the later Rambo films (the last of which I haven’t seen yet) appears to be that this film’s representation of soldiers returning from the Vietnam War is intelligent and thoughtful, with Stallone’s final monologue a stand-out, whereas Rambo in the other films is a mere cardboard cutout of these issues. Stallone’s performance is by and large passably good, but his final monologue is so filled with emotion and distraught passion, and is very impressive indeed. In addition to the film’s thematic intelligence, I was also pleasantly surprised in that the film is very well directed by Ted Kotcheff, who also directed Wake In Fright (1971); a personal favourite of mine. Kotcheff makes great use of environments in First Blood. Set in a sleepy mountainside town, when Rambo and his assailants enter the surrounding forest, the action is beautifully shot. 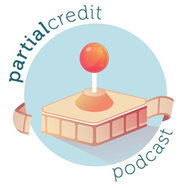 The editing in terms of the PTSD flashbacks is also very clever and appears authentic to the PTSD experience; intrusive, pervasive, triggering fear, and violent behaviours. Perhaps some elements of the script are a bit cheesy by modern standards, but this is a small complaint when levelled against the rest of the film. I was surprised by how much I enjoyed First Blood. Given how lame I thought some of the other Rambo films were, I was surprised by the intelligence and relative sensitivity of this film. It is also surprising when one considers that Sylvester Stallone’s acting could be considered a highlight as well. Ultimately, First Blood raises valid points about the treatment of returned servicemen from the Vietnam War also, and these themes are rendered well within the overall story. If you have only ever seen the later Rambo films, I would definitely suggest watching this, as it is likely to change the way you see the series overall. 1982, not 1985. Otherwise, great review. Whoops! Fixing that now. Thanks for the heads up! It really is a pretty good film, isn’t it? I saw it as kind of a way of kind of “revamping the essence of a nation” after Vietnam, as you touched on here. It’s always good to expand those horizons. Well done. One of the better 80s action movies without a doubt. Definitely. There are some shockers in that genre for sure! I just watched this last week. It is a very taut and tense film. It would have been interesting to see how the rest of the series would have went if this theme was kept. I would have loved to see the sequels if they continued in this vein. The second one was just ridiculous! Wow, I had an inkling that the kill counts became excessive over time but I had no idea by how much! That is awesome, thank you for sharing! Really interesting read. I haven’t seen this one for a long, long time, sounds like one worth revisiting I think! Absolutely! I would consider this a classic for sure. The rest of the series, perhaps not so much. I LOVE First Blood aka Rambo 1, it was such a good film! I never saw it until I was in my later teens but I instantly loved it because of the depth and pain Rambo had suffered and endured during the war and how some misunderstanding police turn his life into something crazy. This is the kind of action films that I like, something that is simple, yet complex and badass. That is the perfect description of this film – simple yet complex and badass! I love it! Really enjoyed reading this Anna.